Philip Hemphill is a legend in Precision Pistol. 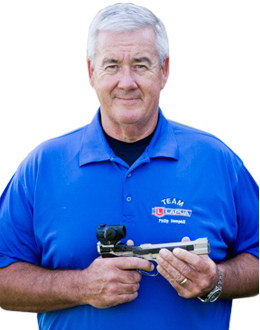 In 2018, he took fifth overall at the NRA Precision Pistol National Championships, while also taking High Law Enforcement and High Senior. In 2007, NRA awarded Hemphill “NRA Law Enforcement Officer of the Year”.